Marshall University wanted to provide a center that would bring health and wellness programs together, while promoting a sense of community. Used as an attraction / retention tool, the new 121,000 sq. ft.
Student Health Recreation Wellness Center provides a place where students can pursue exercise, leisure experiences, and recreation activities. 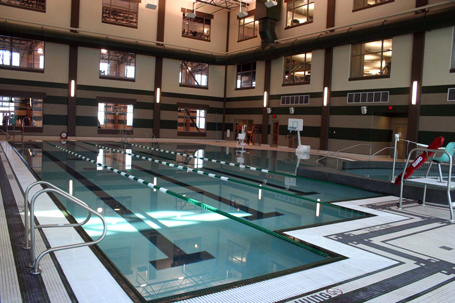 The facility offers a natatorium, three lane running track, four group exercise studios, four court gymnasium, climbing wall, three racquetball/volleyball courts, badminton and pickleball courts, and an outdoor sundeck. The center is equipped with a wide range of exercise equipment, including treadmills, step machines, and weight machines.